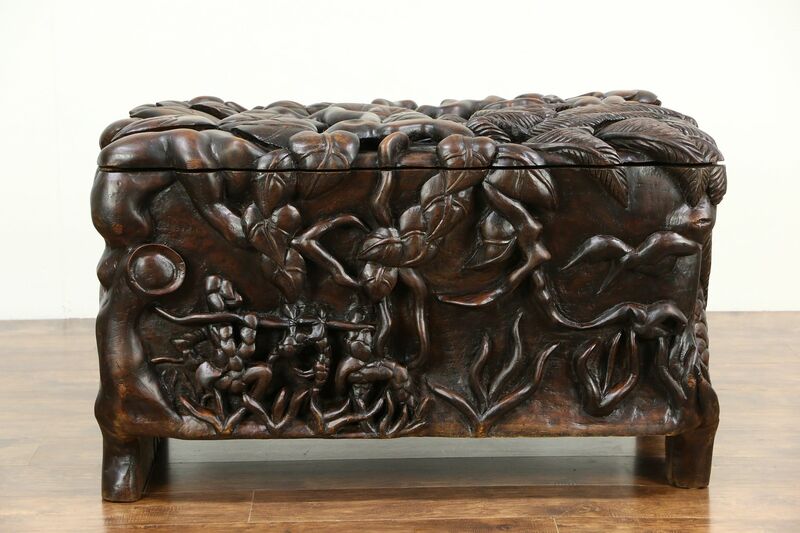 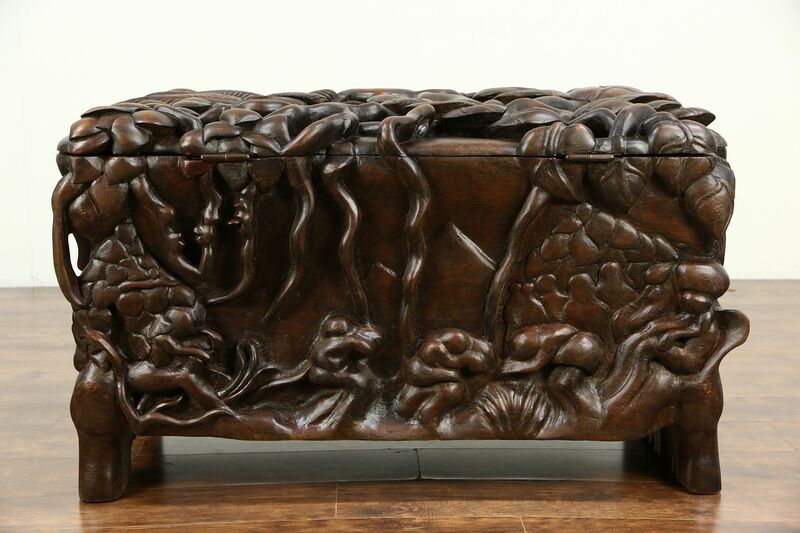 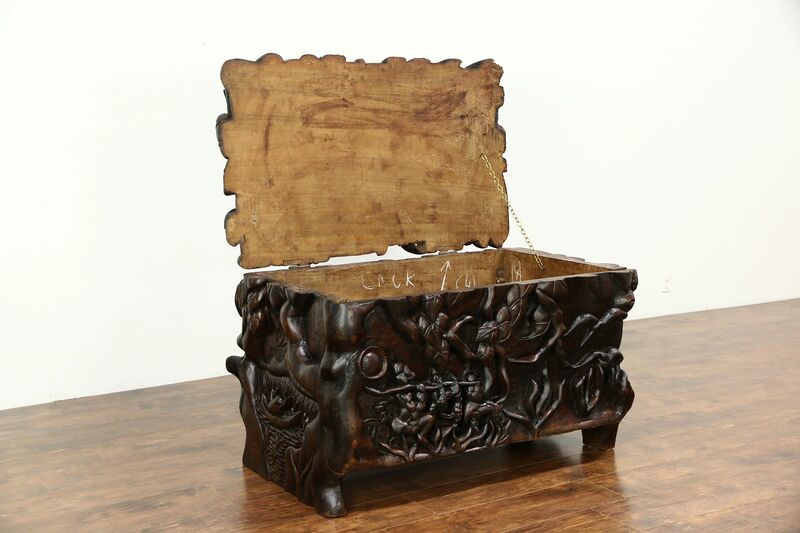 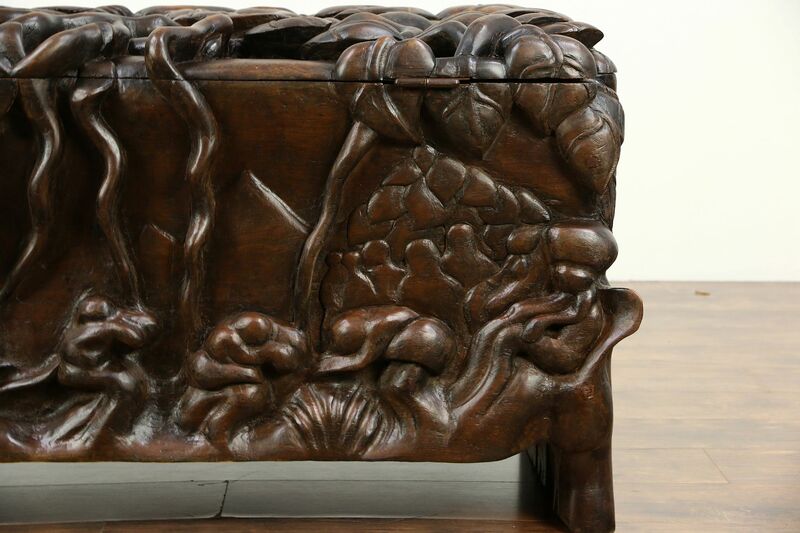 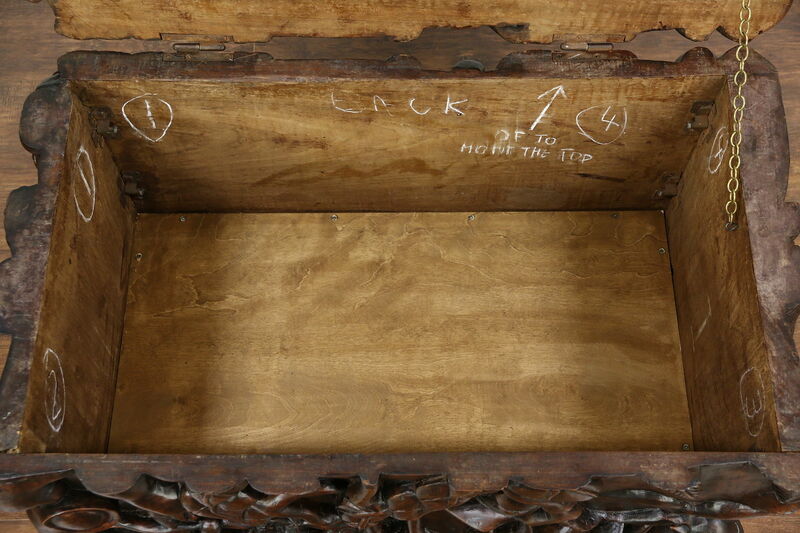 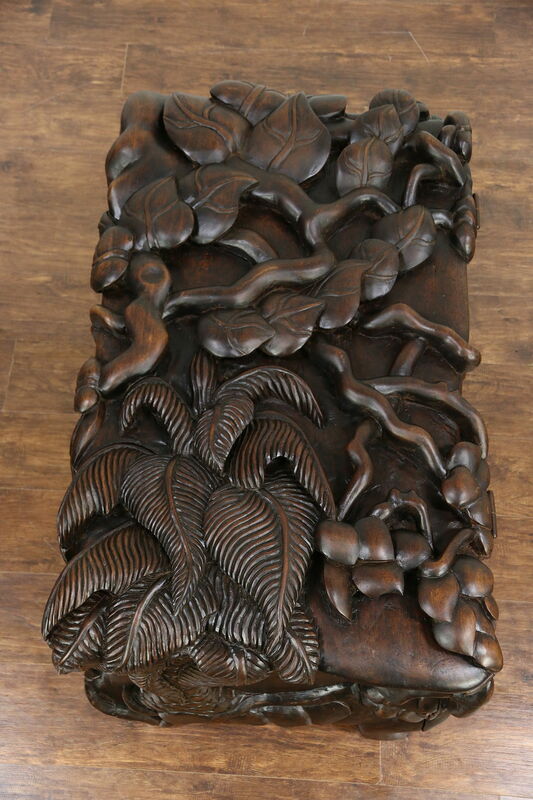 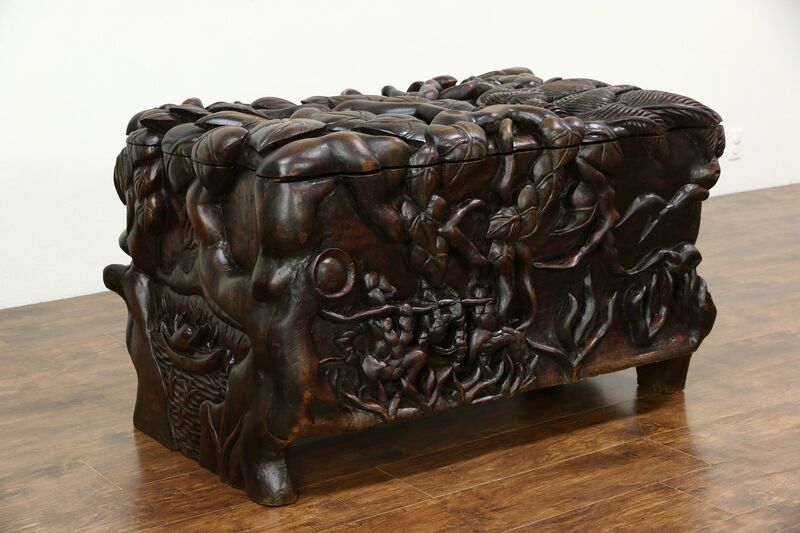 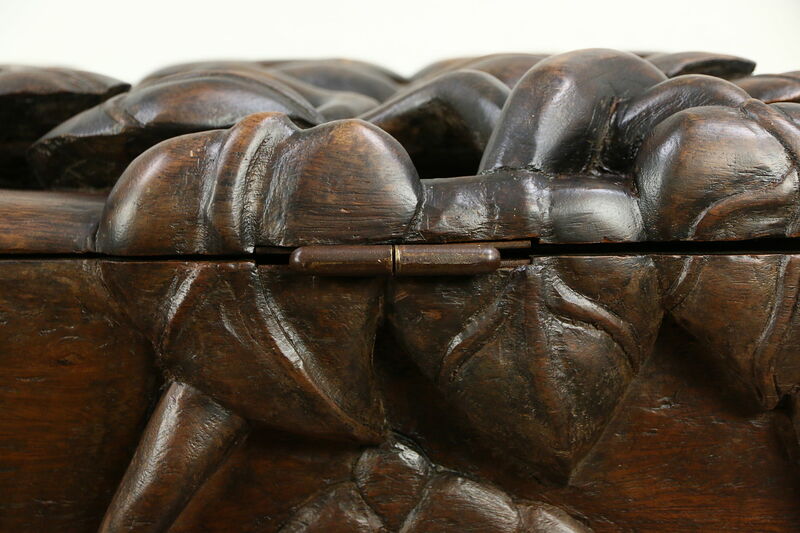 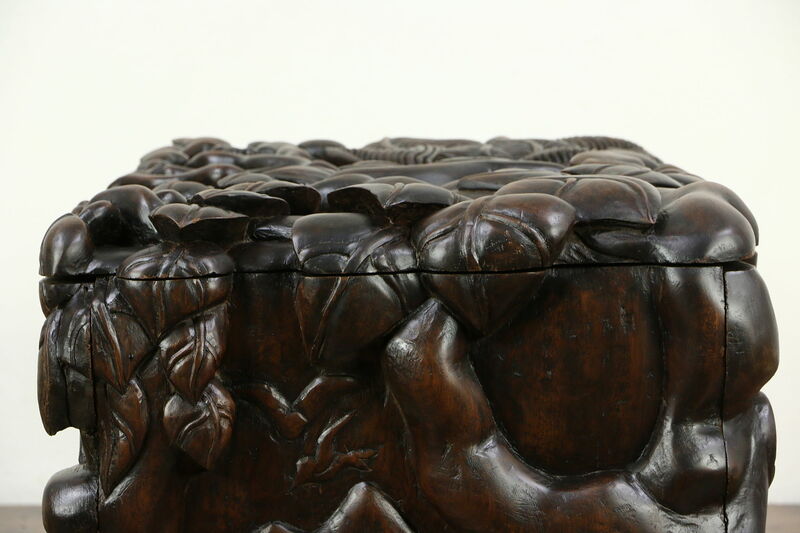 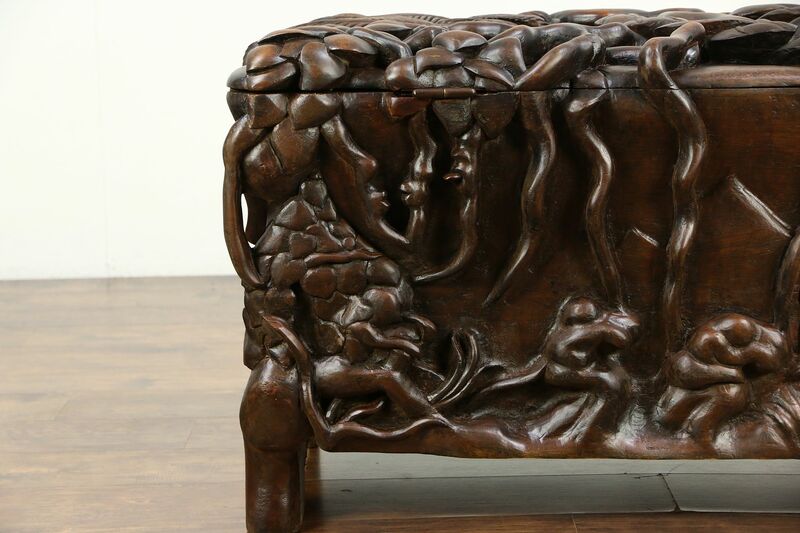 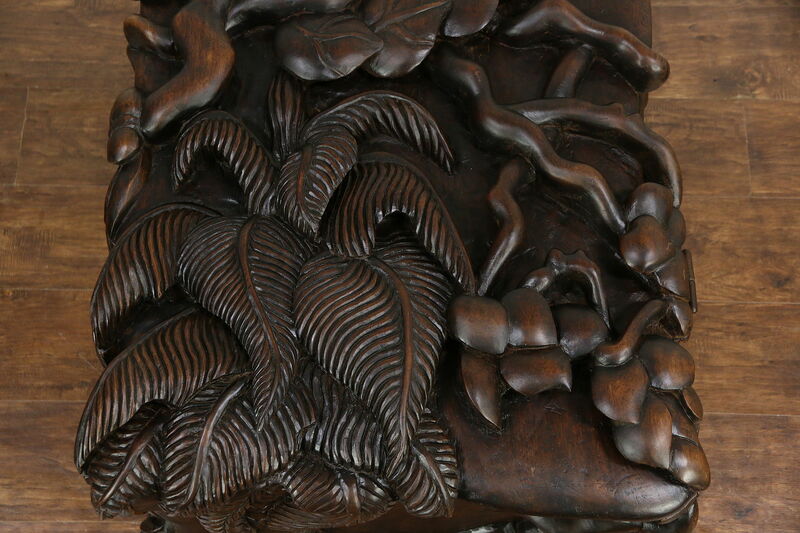 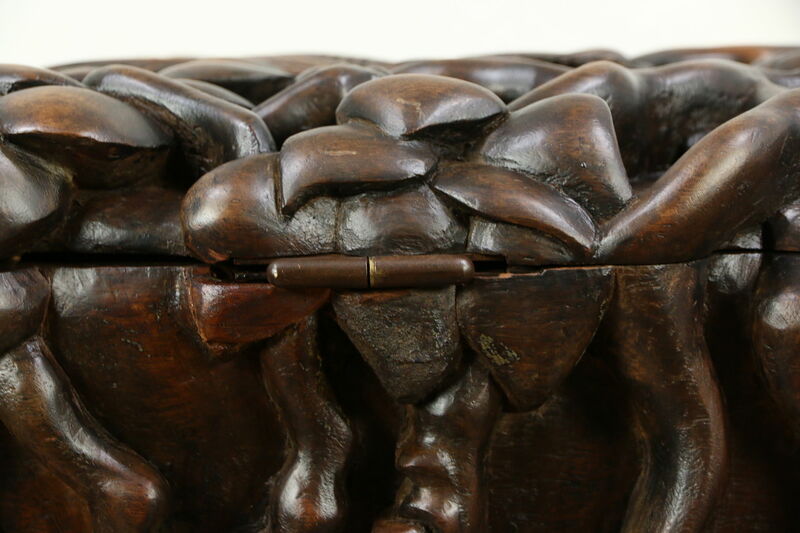 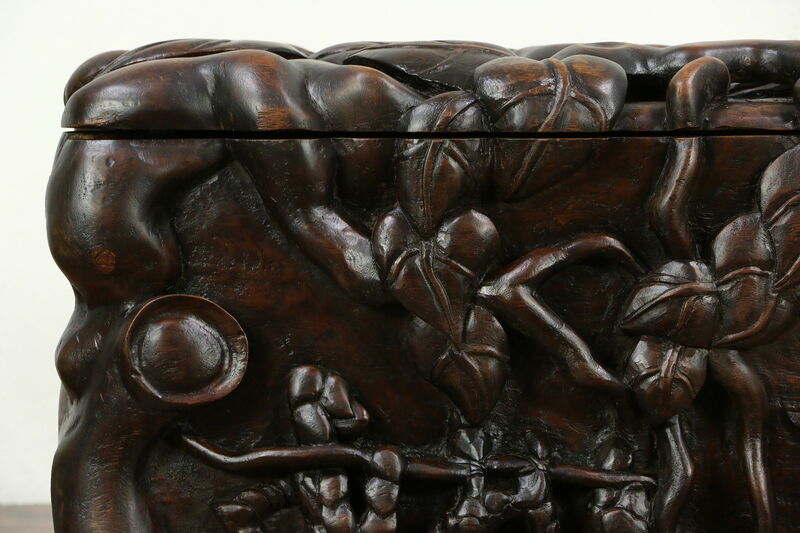 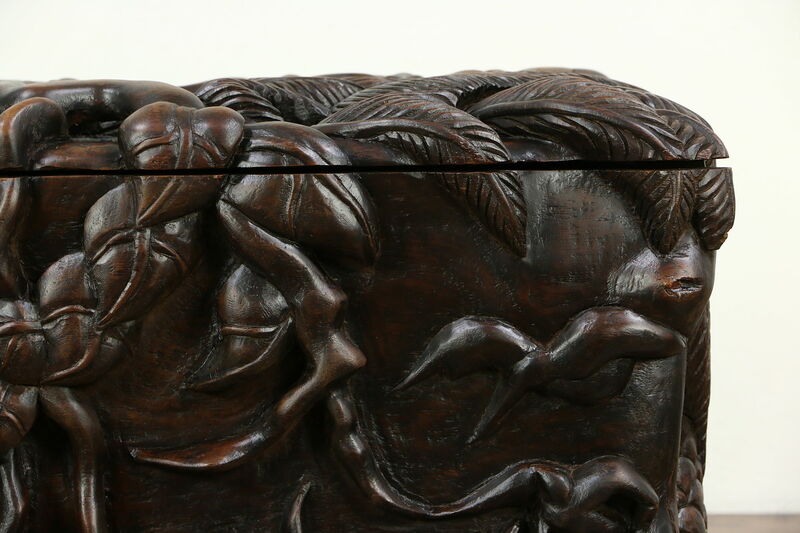 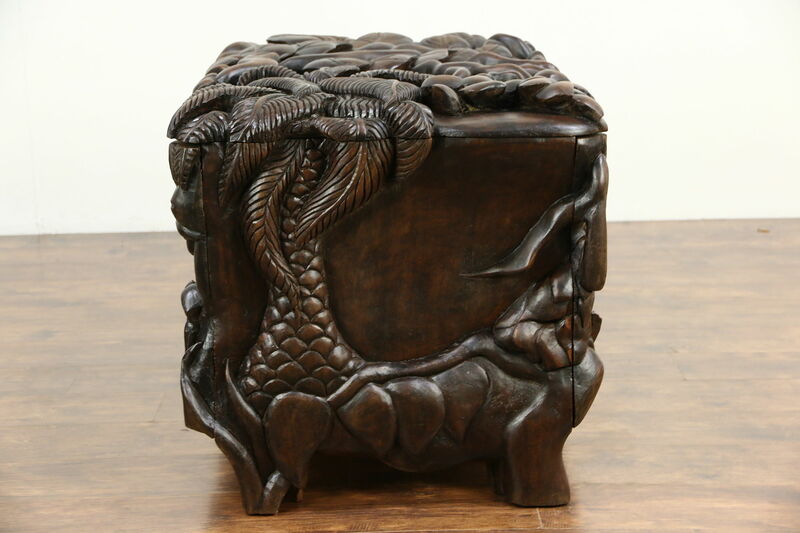 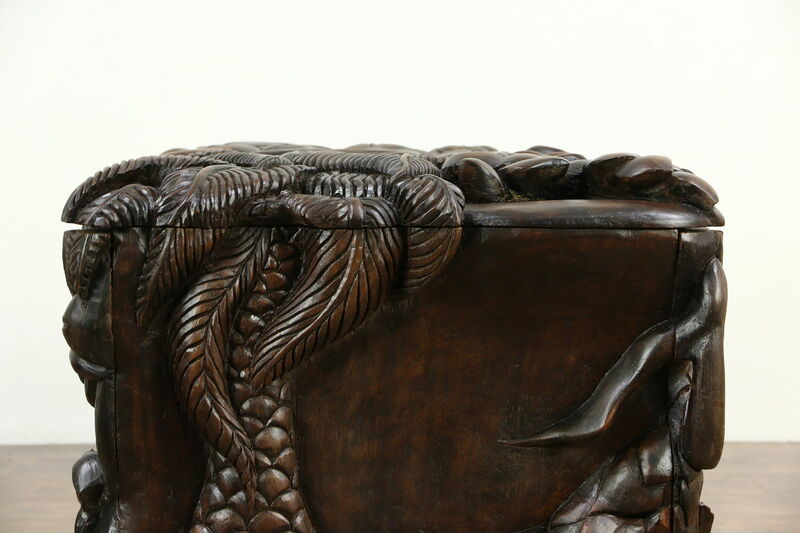 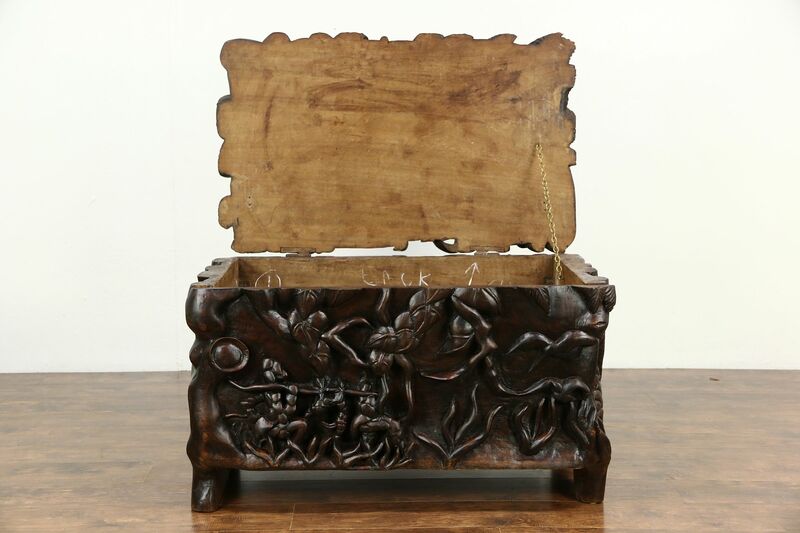 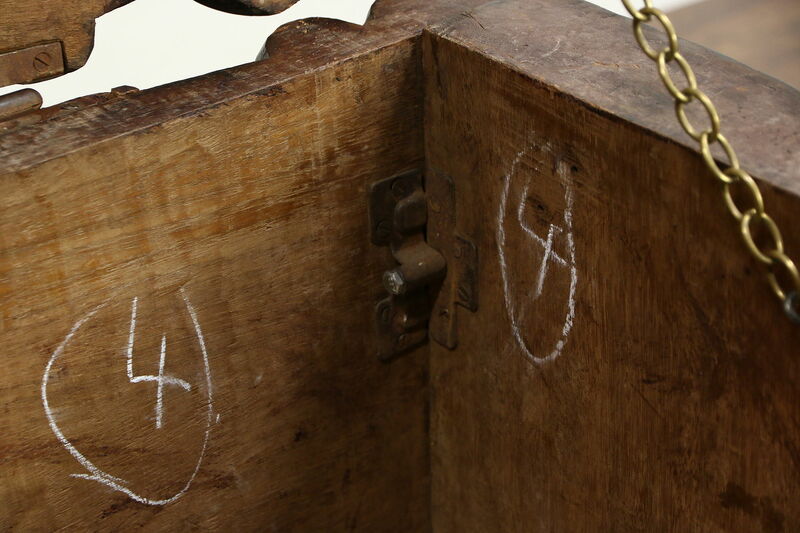 An incredible traditional trunk or chest from Tahiti in French Polynesia was hand carved in the 1920's and brought back to France by a consul general. 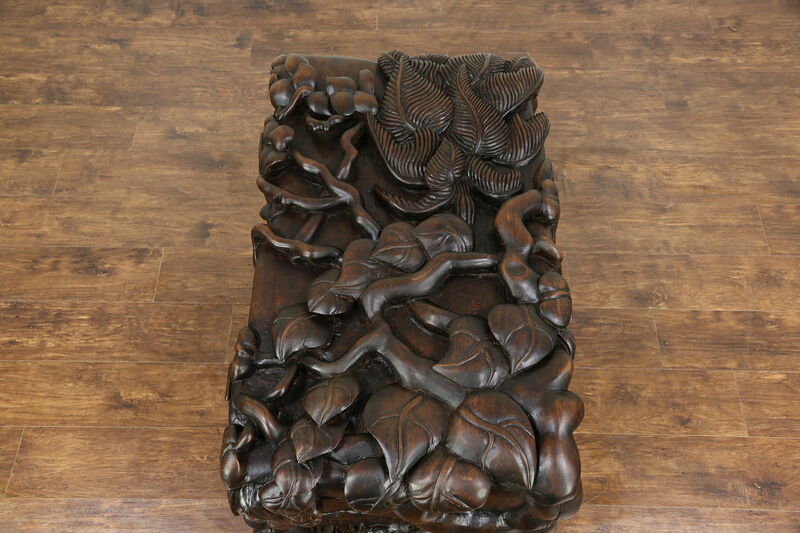 Solid mahogany, each side is deeply sculpted from a single 3" thick plank. 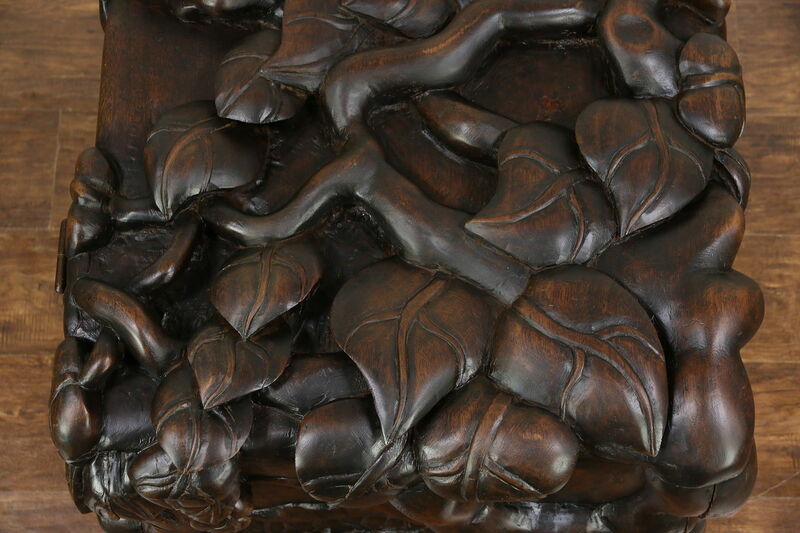 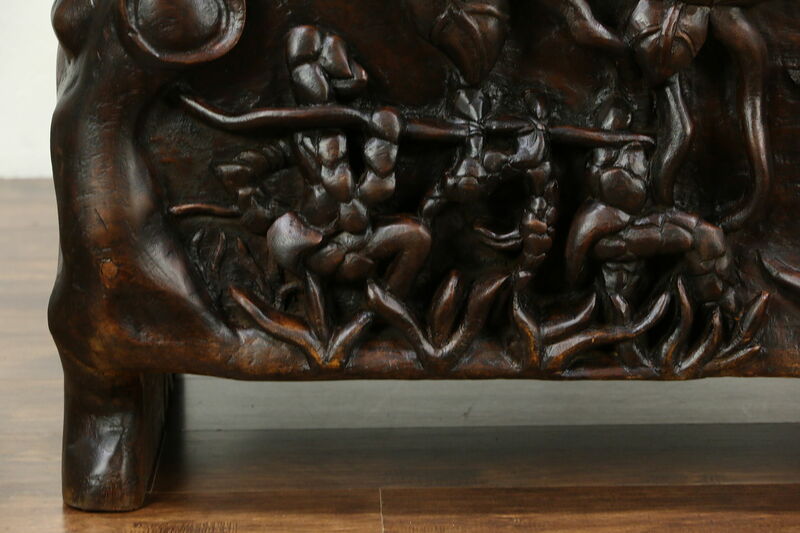 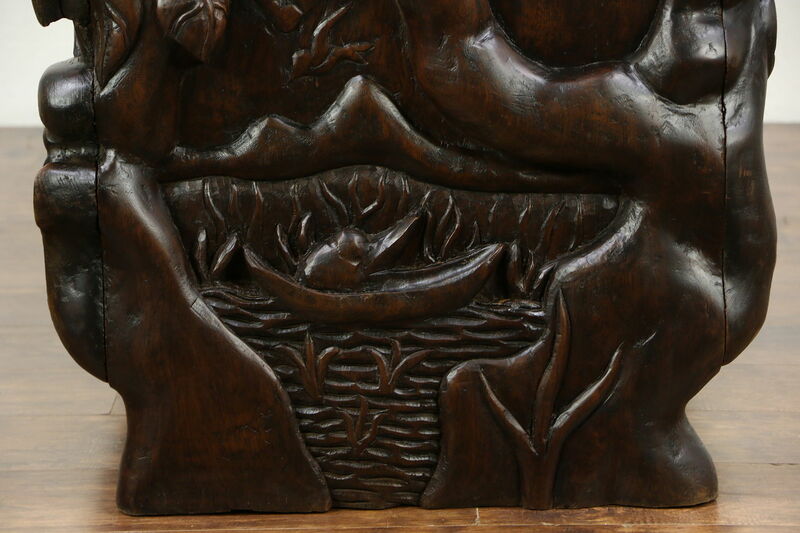 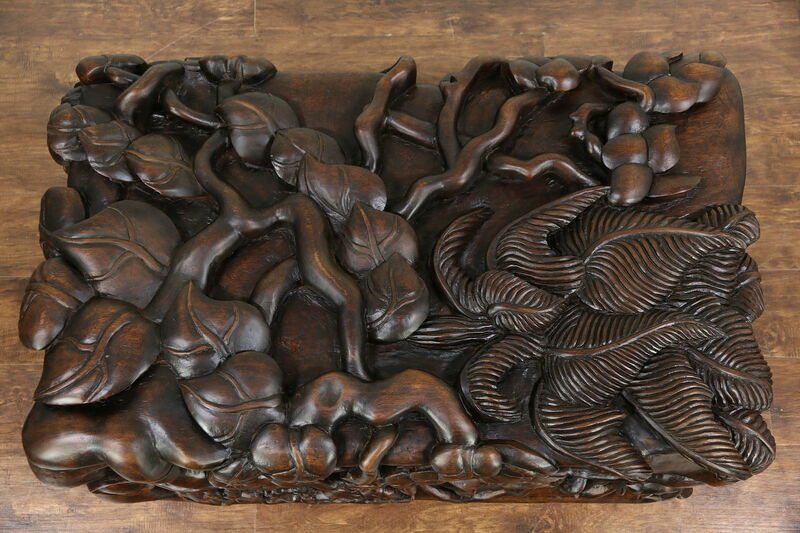 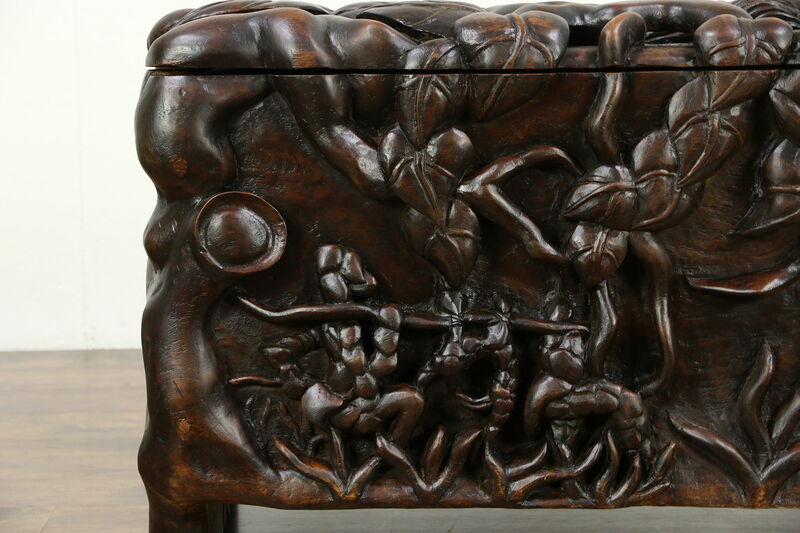 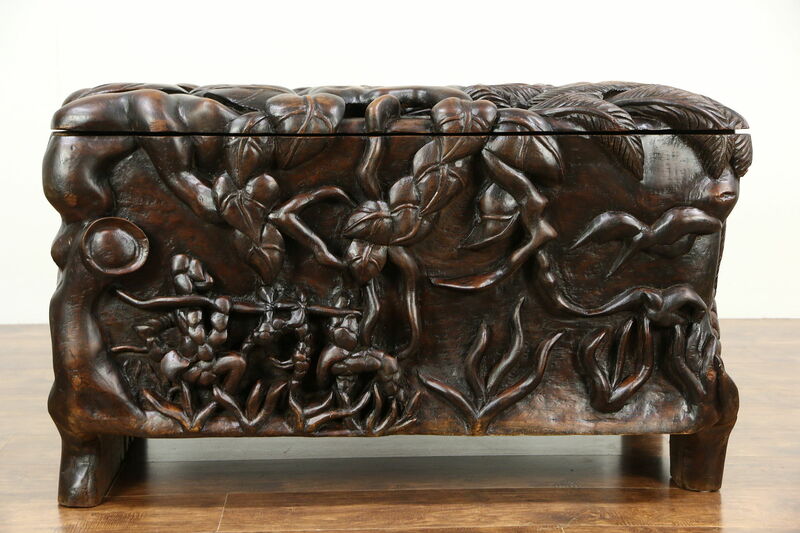 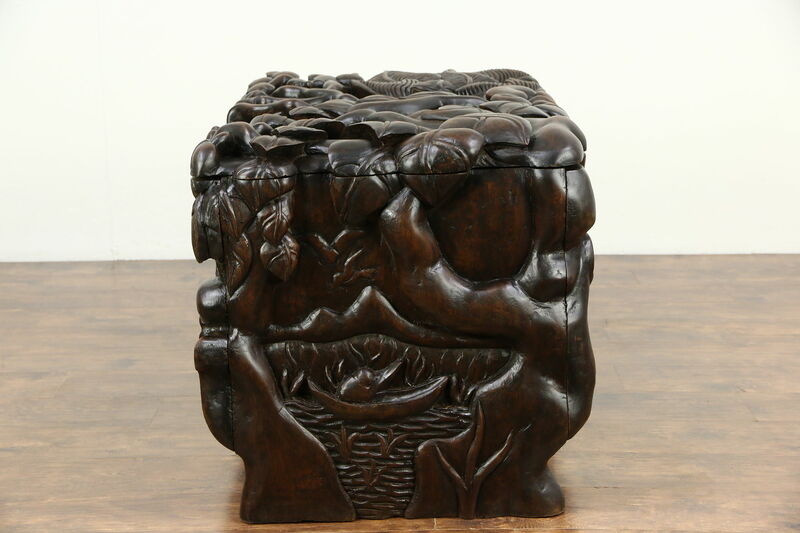 Motifs include vines, a fisherman in his boat and natives bearing game home from a hunt. 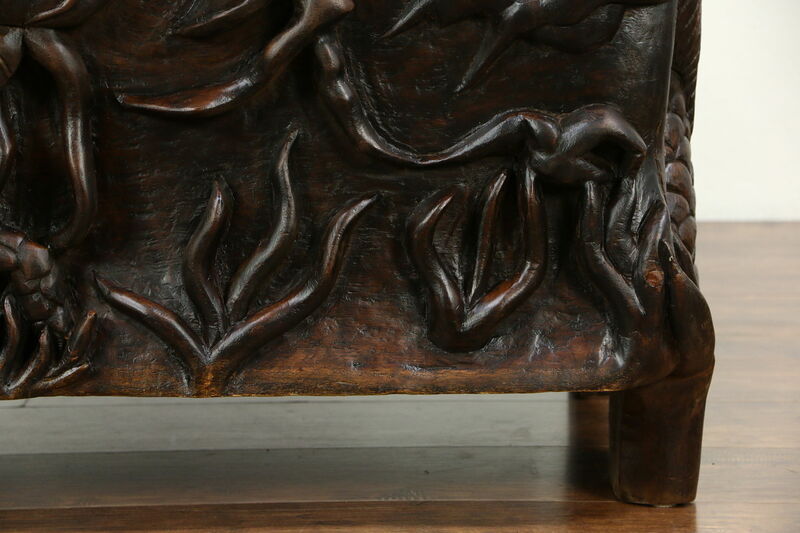 The renewed finish is in excellent condition on this furniture, which looks like it belongs in one of Paul Gauguin's paintings of the era. 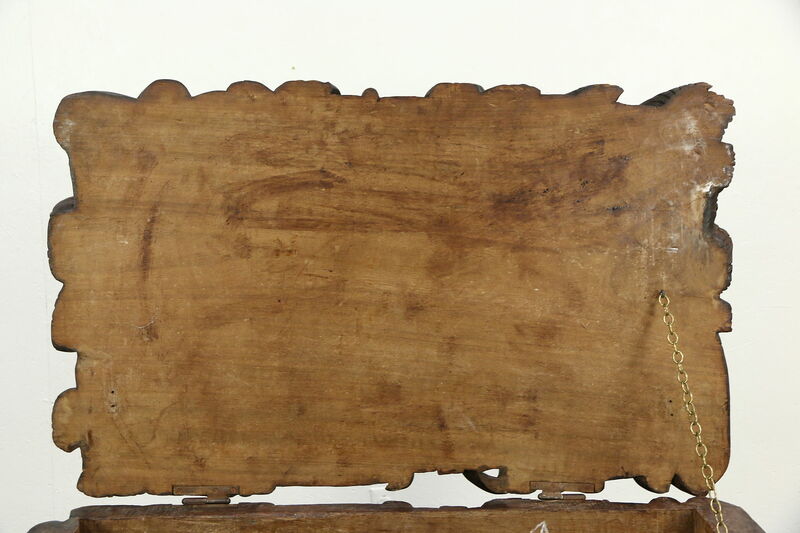 This antique work of art completely disassembles for the voyage back to Europe. 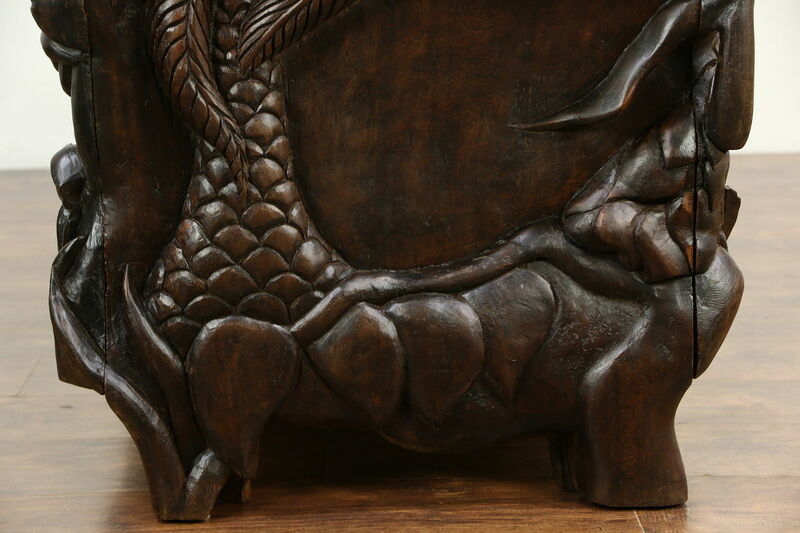 Dimensions are 47" wide, 28" deep and 29" tall and it weighs approx 200 lbs.